Badoc, Ilocos Norte—This town unveiled a marker of the pontifical coronation of La Virgen Milagrosa de Badoc on June 29, 2018. 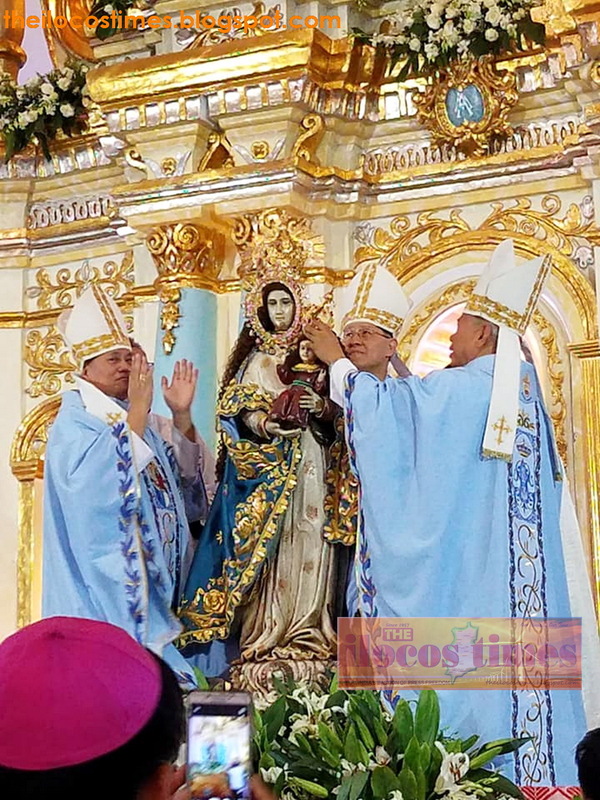 Just like during the pontifical coronation of the blessed Mother, Cesar Jade Raquel, Badoc municipal tourism officer said the unveiling ceremony drew hundreds of Catholic faithful from the different towns of the province and in nearby provinces. Gifted with heritage churches and natural landmarks, the Provincial Government of Ilocos Norte through its Ilocos Norte tourism office acknowledged there is a growing interest in faith tourism here as several travel agents are offering some tour packages regarding this purpose. As this developed, Mr. Raquel said the municipal government of Badoc has already started preparing for the arrival of local and international pilgrims to visit the shrine and marker. On May 31, 2018, Manila Archbishop Luis Antonio Cardinal Tagle led the pontifical coronation of La Virgen de Milagrosa de Badoc with the infant Jesus which paved the way to an increasing number of devotees visiting Badoc town lately. Badoc town is also known as the hometown of the famous Luna brothers, Antonio and Luna. Located at the town proper, the Antonio and Luna Museum, which the National Historical Commission of the Philippines supervises, also attracts thousands of tourists here. A new Philippine future beside the exodus?